Sky blue daisy print retro swimsuit – only at BettyLicious! 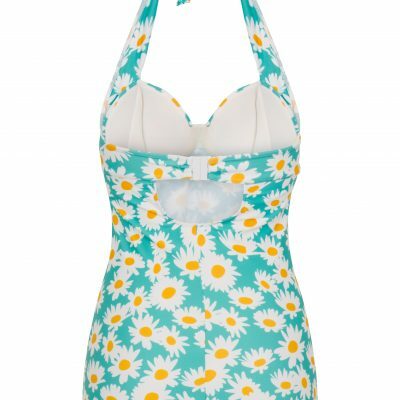 Join in the 50’s swimwear fun! 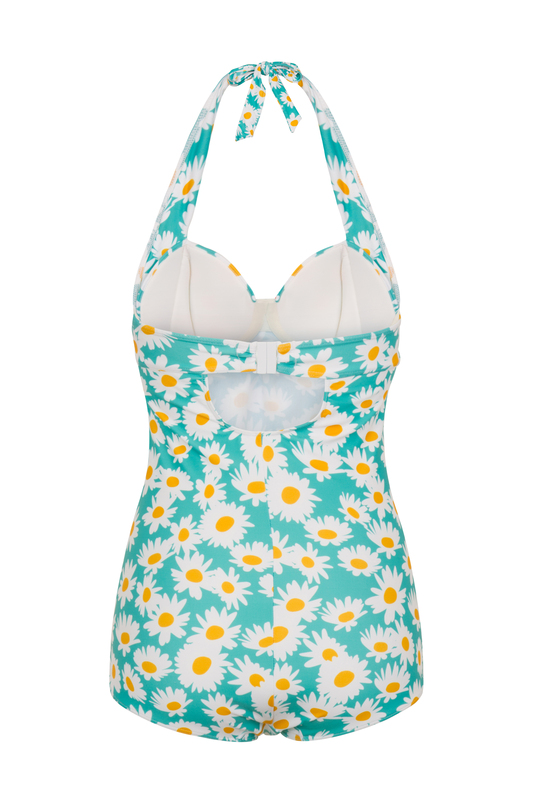 It’s not even spring and yet I am feeling so summery already! 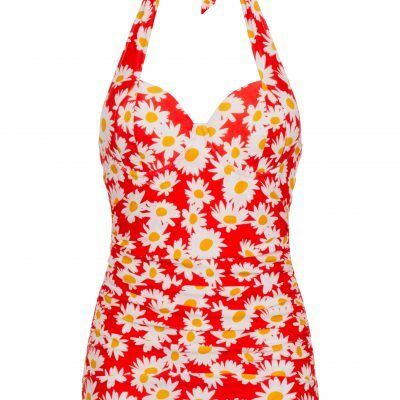 It must have everything to do with the launch of our very own 1950’s daisy print designer swimwear range. 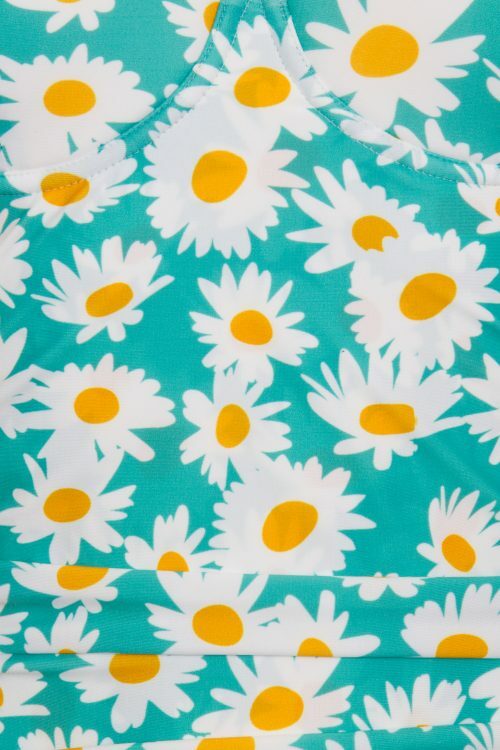 This one is set on turquoise and is featuring a cute daisy print. 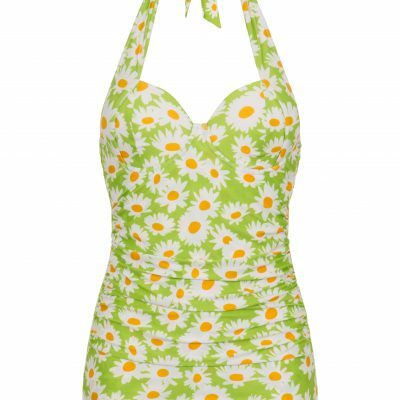 All of our swimsuit are easy to tie behind your neck but the BettyLicious vintage swimsuit is constructed like a bra for extra bust support. 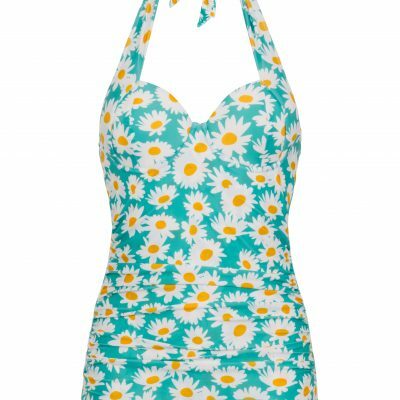 This cute retro swimming costume is also available in red and green and is as close to custom-made you can get with its 2 bust size option feature and tummy control system. Simply select your dress size and cup combined and Voila! 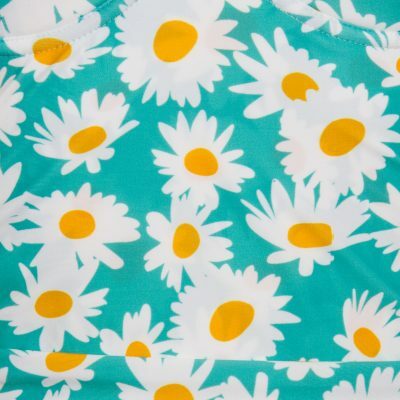 The daisy collection is only available at BettyLicious and has been hand-sewn by our seamstress Florie. 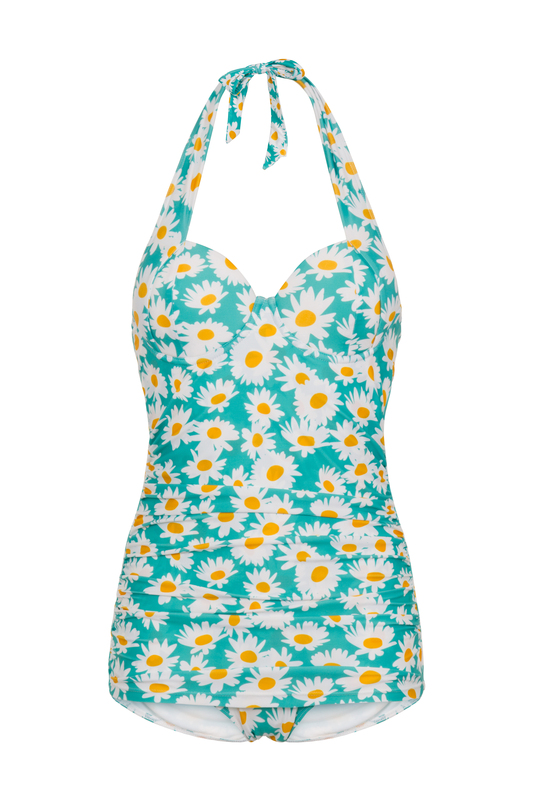 It has an amazing fit and is a real designer swimsuit gem.